I’m not much of a gardener but I do know that mulch is great for preventing weeds and preserving ground moisture, especially in this hot dry weather. Even the council is encouraging us to mulch so save on watering gardens. Apparently Cocoa Bean mulch is now available. It is made from Cocoa bean shells, a by-product of chocolate production. It degrades into an organic fertiliser and provides an attractive colour and odour. However some dogs find the mulch attractive and will eagerly eat large quantities of it. Surprisingly this mulch can contain significant levels of Theobromine, a methylxanthine, the substance in chocolate that causes poisoning in dogs. Signs of poisoning vary. 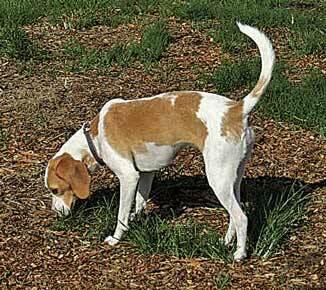 The level of toxin in the mulch is very variable, and larger dogs are generally less affected. If small amounts are ingested gastrointestinal upsets, with vomiting or diarrhoea may occur. With larger amounts hyperactivity, tremors, seizures, and one recorded death have been documented. It would seem for a medium sized dog that a kilo of mulch could cause severe symptoms. So, although a garden smelling of chocolate sounds deliciously like something out of Willy Wonka, it would be prudent for pet owners to avoid the use of cocoa bean mulch in landscaping around dogs with indiscriminate appetites. Previous articleSchools Back – Hurrah Hurrah!